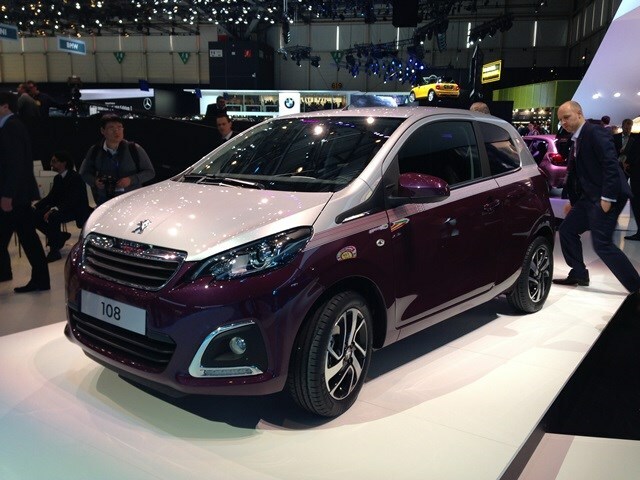 Peugeot’s 107 had been around so long it’s had more facelifts than Joan Rivers. But the 107 is no more – enter the all-new 108. The new city car is longer than before liberating more space for passengers and luggage and once again comes as a three- or five-door hatchback. For buyers wanting more individualisation there are a range of bodywork graphics and two-tone paint schemes to choose from, as well as a full-length folding sunroof on the 108 Top. Inside there’s a step up in modernity over the 107, with the 108 boasting a large speedometer encircling an LCD display in the steering column. Higher specification trims also come with a touchscreen for the infotainment package. Only petrol engines are available for the 108 but all promise good fuel efficiency, with CO2 emissions all under 100g/km. 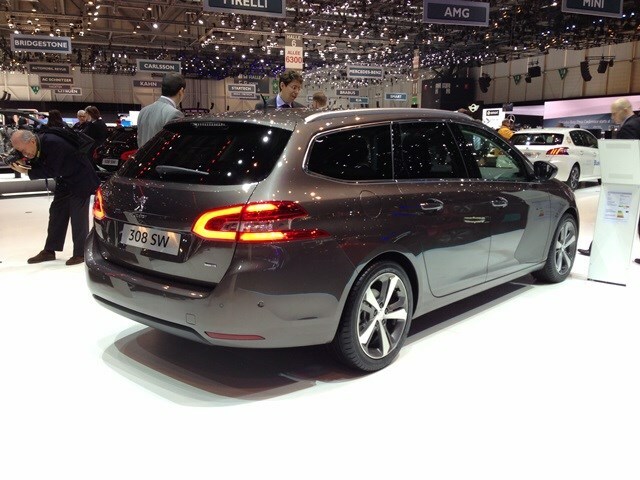 A second body style for the new 308 range will be shown at Geneva with the introduction of the SW estate version. In creating the SW, Peugeot has added around 30cm of extra bodywork to the rear compared to the hatchback version, freeing up a class-leading 660 litres of boot space with the seats in use. Unsurprisingly, the 308 SW also benefits from the hatchback’s light and airy cabin design including a minimalist dashboard with a central colour touchscreen and a 1.69 square metre glass roof option. Engines will broadly match the hatchback range too, so expect a refined mix of efficient petrol and diesels choices. Despite the popularity of its diesel powerplants, Peugeot hasn’t forgotten the importance of petrol engines for a large proportion of its buyers. Known as PureTech, the turbocharged 108bhp and 128bhp versions of the firm’s three-cylinder 1.2-litre motors are designed to produce most of their torque from as little as 1,500rpm, ensuring strong getaways from junctions and easier overtaking moves. Official fuel consumption figures have yet to be revealed but expect them, and CO2 emissions, to be lower than larger non-turbocharged engines with similar power outputs. Expect to find the new engine under the bonnets of 208s, 2008s and 308s later in 2014.